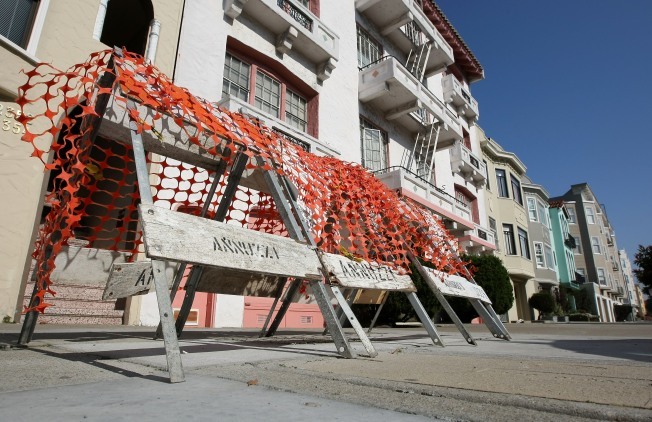 Registration opened Tuesday for homeowners interested in receiving seismic retrofit grants, which are available to homeowners in select zip codes in some San Francisco Bay Area cities, according to officials with the state's Department of Insurance. The grants provide up to $3,000 for retrofits of wood-framed homes built before 1979. Other qualifications apply. Registration will remain open until Feb. 23. The grants are being provided through a state program called the Earthquake Brace + Bolt program. Insurance officials said $6 million dollars is available statewide this year, which is enough to support 2,000 or more code-compliant retrofits. Typical retrofits paid for through the program cost between $3,500 and $5,500 and involve bolting a house to its foundation and placing bracing around the perimeter. Insurance officials said that is minimal compared with the cost of repairing earthquake damage, which can cost hundreds of thousands of dollars. After the relatively moderate 6.0-magnitude Napa earthquake in 2014, homeowners received estimates of up to $300,000 to put their homes back on their foundations. Homes with qualifying retrofits can get discounts of up to 20 percent off on California Earthquake Authority earthquake insurance premiums. More than 1.2 million homes in high-hazard areas of California are quite vulnerable to earthquakes because of their type of construction, according to officials with the earthquake authority. The homes at risk were typically built before 1979, have a wood frame on a raised foundation and a cripple wall in a crawl space under the house. Details about qualifications for the grants, such as home specifications and which zip codes can participate, can be found online. Homeowners can apply for a grant at EarthquakeBraceBolt.com where a list of FEMA-trained contractors for the work can be found.